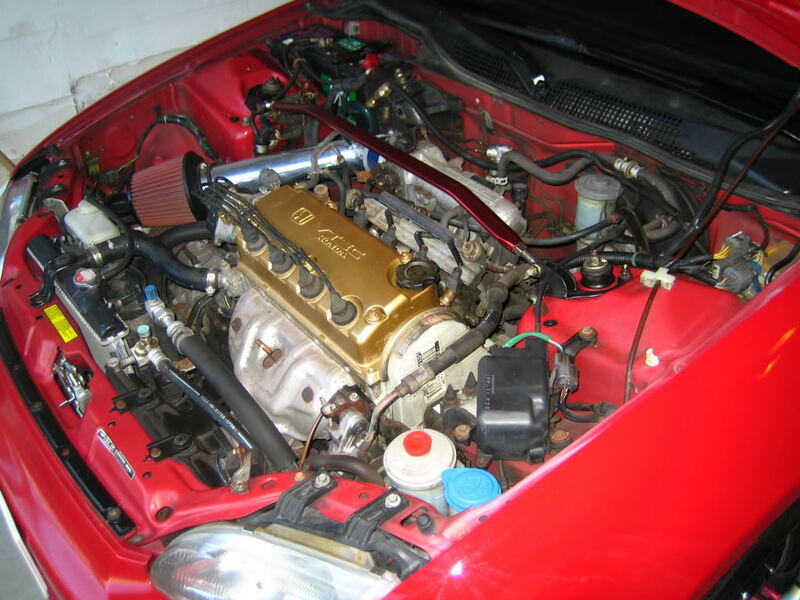 hey guys i got a 92 hatch with a d16 y8 engine in it (1.6 sohc vtec).. i want to paint the valve cover because im taking it off to make some repairs so i thought it would be a good idea.. anyone know how to prepare the surface b4 i use the engine enamel paint?? I paid $40 and took it to a machine/sandblasting shop... Was a great base to start from! i painted mine took 10 or so minutes, this si what i did, rough sand and clean, i didnt care too much, i used a tarp over the full front end. place it over the engine bay, then cut 3 sides around the rough area of the top of the motor. use the last uncut piece for slack and tape around the 4 sides with masking tape. ive had mines on for about a year soon and no problems or flaking, in fact it looks in person like i took much time on it, when it took only 10 or 15 minutes from start to finish. what he said, but i would take the valve cover off, for me that was easier. but its what you prefer. I took off my cover, used paint thinner, manually sanded it, spray painted it, let it sit for 12 hours, replaced valve cover gasket and spark plug seals and my results. P.S: I sanded 'Honda Motor Co.' letters to get it back to silver. 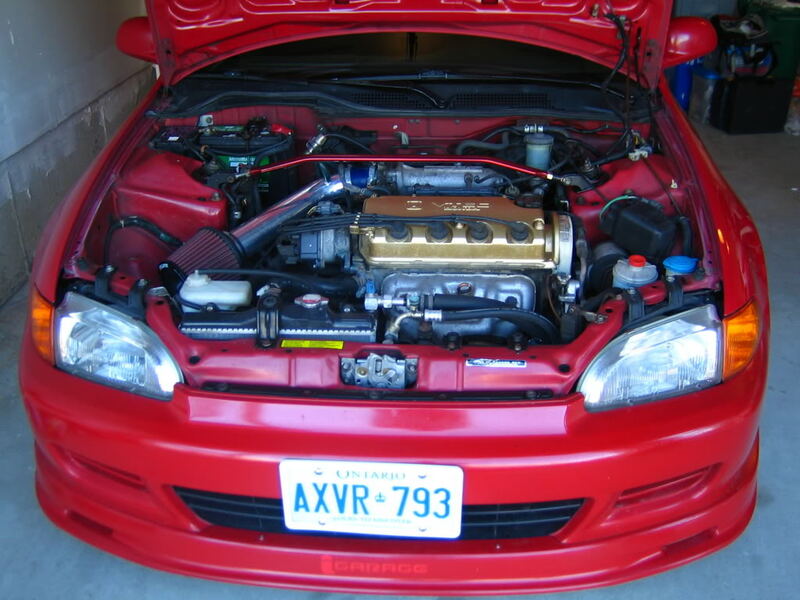 Oh and I don't know what the civics use to ground the car, but the G3 integra's use the valve cover, so if it's grounded from the valve cover, sand off the paint of that one area where the wire gets connected to the chassis of the car! When I did mine, I bought paint striper. I sprayed the paint stripper on, had a smoke and once I came back, the paint was just bubbling off. Be careful not to get it on your skin, trust me it burns hahaha. Also you could also throw the v/c in the oven to cure it. Just make sure you pop out all the gaskets. Quick Reply: DIY= Valve cover painting help! !